Normally you think of doors as something you shut to create privacy, or something you open to allow entrance into another space. 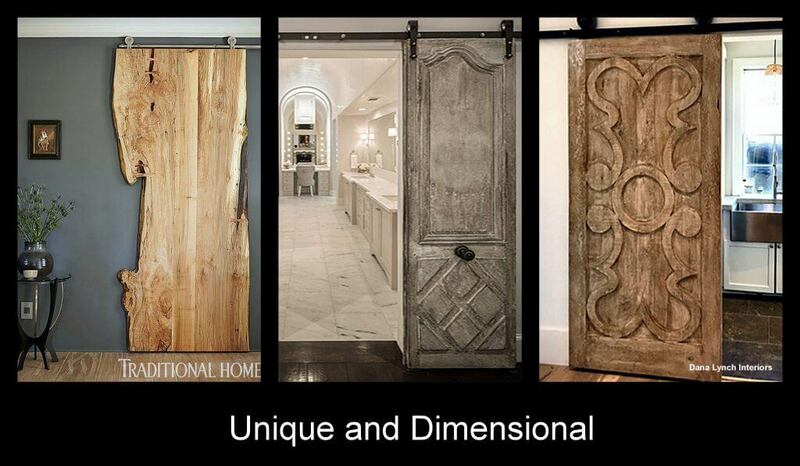 But doors are far more than a functional piece; they create architectural statements inside your home. 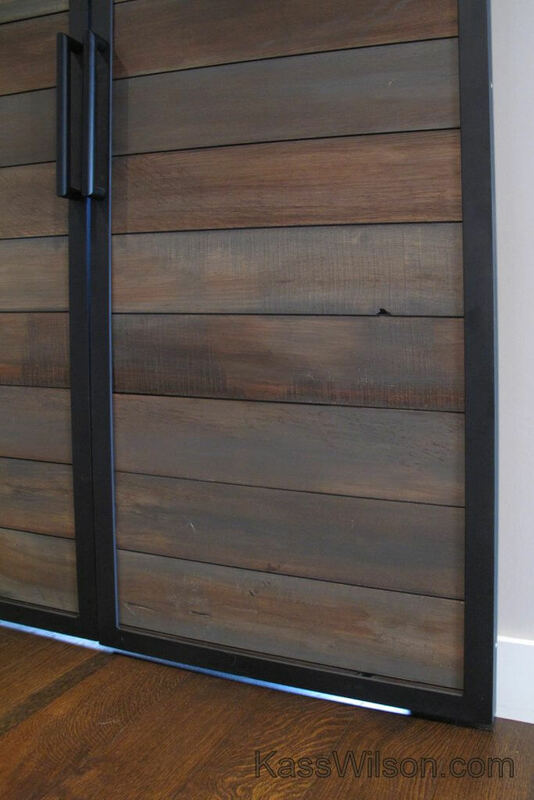 Sliding doors are popular in home design for their function as well as form. 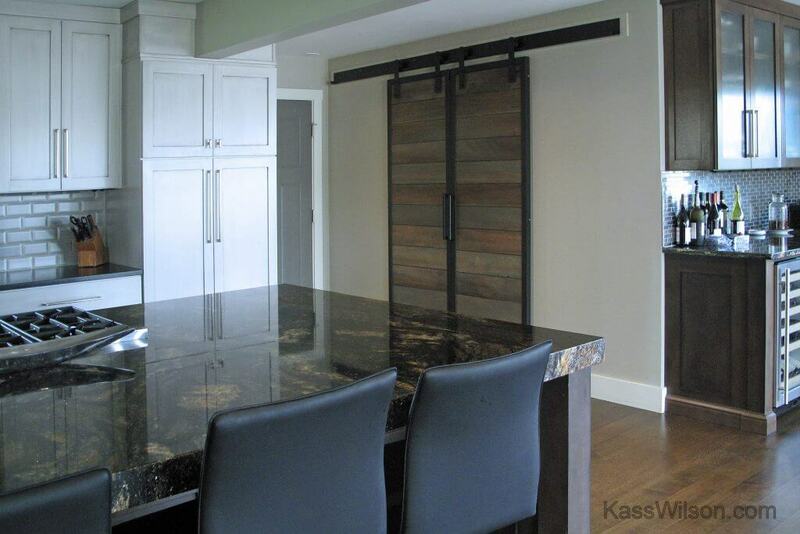 Unlike a standard door, less space is required as a transition from one room to another. 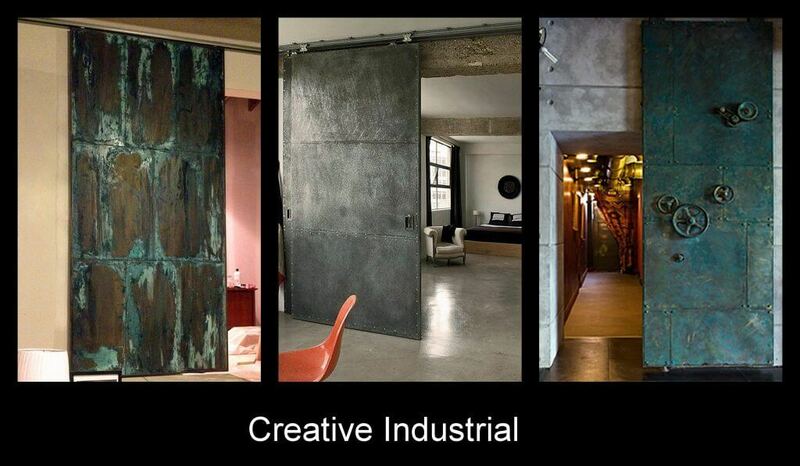 But even more appealing is their artistic value either open or closed. 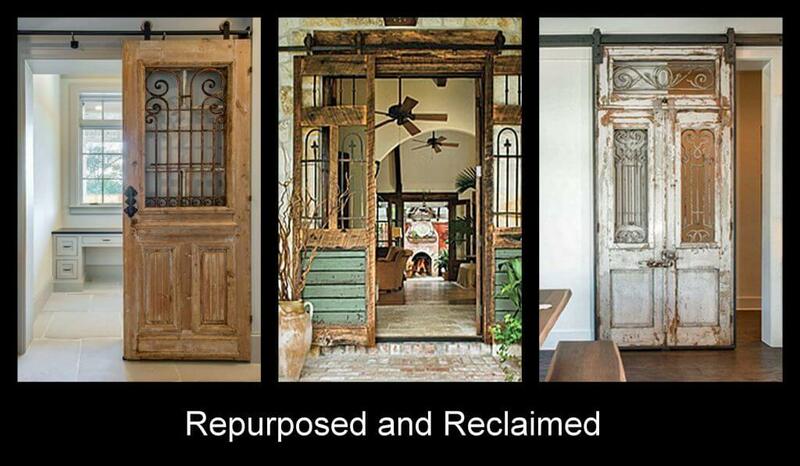 These sliding doors, complete with transoms have special meaning to this family. Their favorite verses were hand painted on the panels as a constant reminder of their blessings. 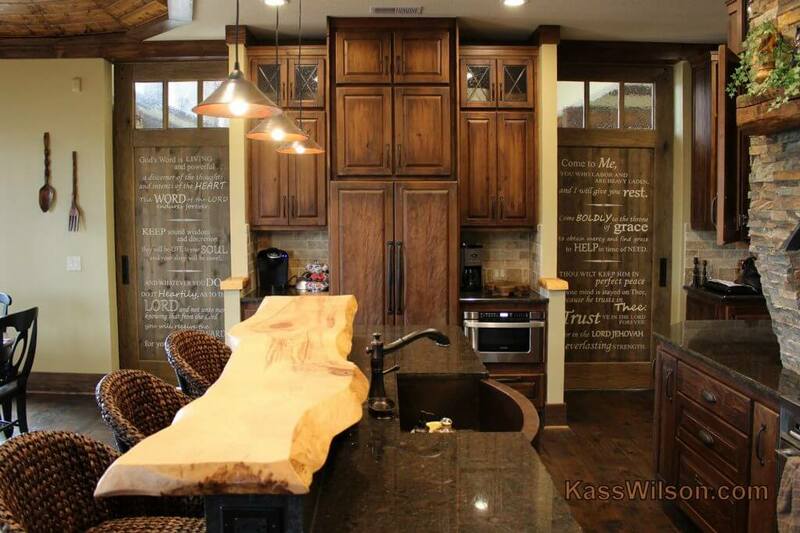 A sleek contemporary kitchen is softened by reclaimed wood doors. They cleverly conceal a full butler’s pantry that is very handy while entertaining. The colors were enhanced to add depth and dimension that blends effortlessly with the other elements in the space. This sophisticated great room utilizes sliding doors as a frame to outline the playroom. 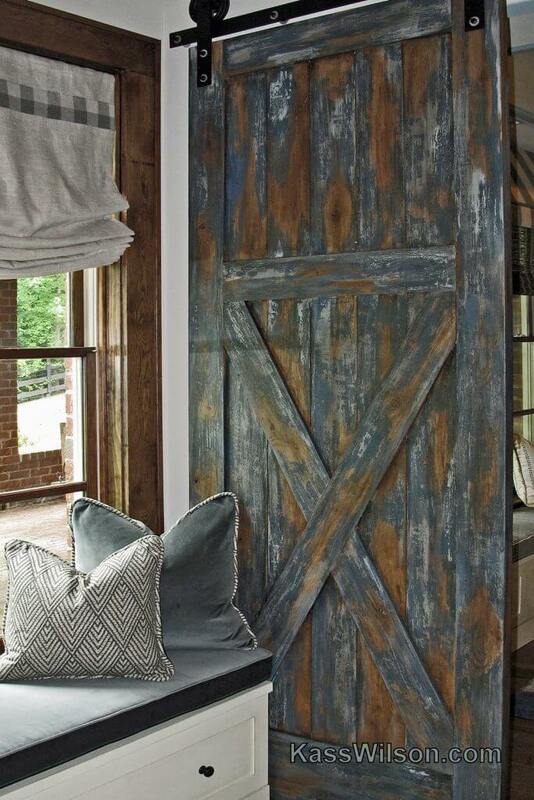 The chipped paint finish makes it easy to specify the exact colors that compliment the space. An added advantage is that they are easily closed to hide occasional messy playtimes and become a focal point of the room. 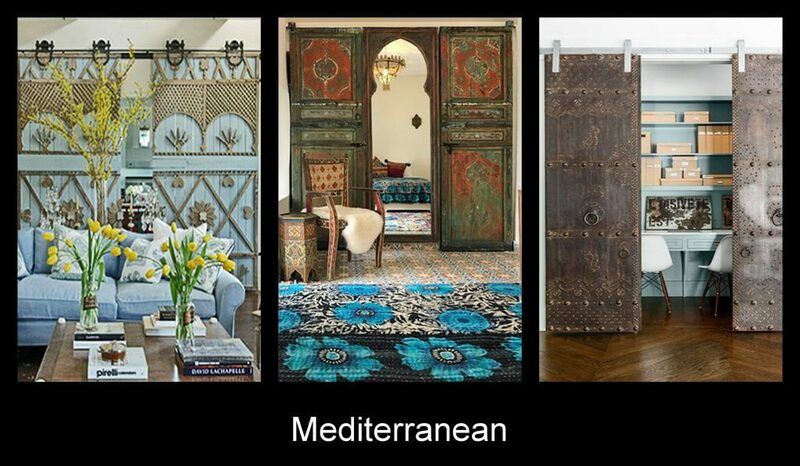 Every well designed room has a focal point, so don’t miss the opportunity to make your doors a piece of art that reflects your personal style. 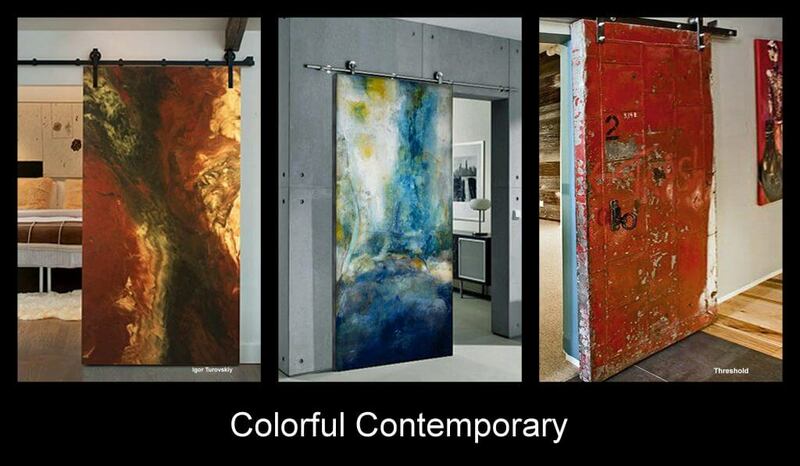 Here are some more ideas for inspiration when designing with sliding doors. 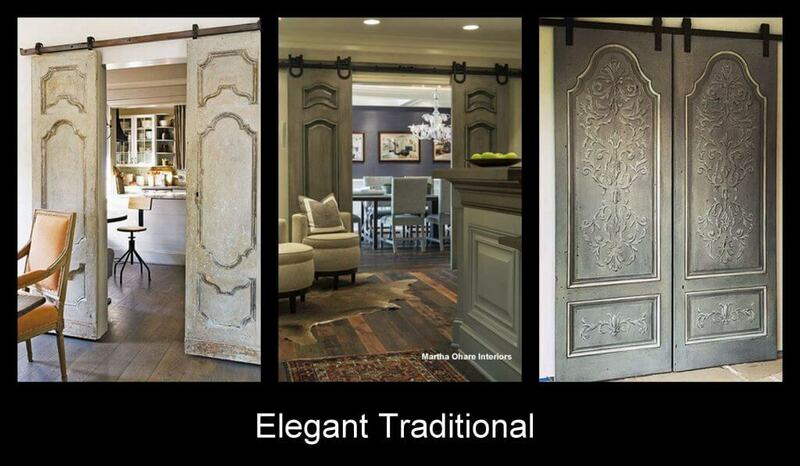 Want to learn more about our Atlanta decorative painting and faux finish services? Contact us! I love the elegant traditional !!!!! 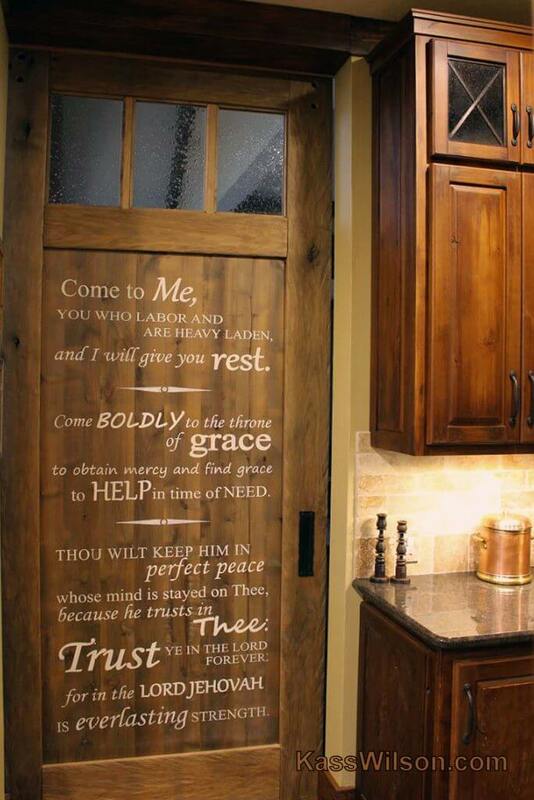 So glad to see something that will add beautifully to traditional homes. Love all of these, especially the one with Scripture verses! Beautiful as always, Kass!